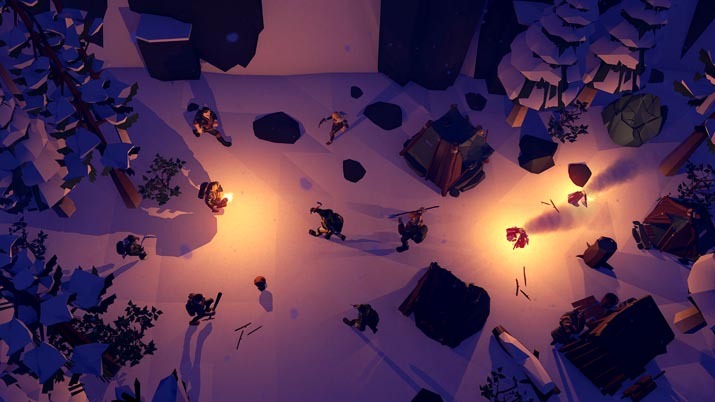 The Wild Eight is a survival title set in the wilderness of Alaska, an environment that is just as brutal and unrelenting as one might suspect. With adventure themes and a sophisticated crafting system, not to mention an incredibly striking multiplayer, the talented minds at HypeTrain Digital have delivered an intriguing, highly anticipated Early Access title, which promises to have a whole host of new features awaiting players as HypeTrain progresses towards the final release. The groaning, tortured sound of the nearby plane wreckage succumbing to flames is a bleak beginning to an arduous journey, but it paints the perfect picture of what’s to come for players awakening in the tundra of The Wild Eight. The elements nag at the stranded characters, tearing away at them over time; the cold threatens to overwhelm after only a few moments away from the radiant warmth of a campfire. In addition to brutal temperatures, the constant need for food is an unrelenting reminder that death isn’t far away. As with most survival titles, The Wild Eight uses both a hunger bar and a cold meter to display the healthiness of a player – in addition to a literal health gauge. In single player, especially in the early days, I found the food requirement to be a massive exaggeration beyond what would be realistic in a survival situation. This is very common in the genre, though; the motivation to find food, and find it often, is a huge factor driving the gameplay. However, once I had started to learn the ropes, I switched to a wandering, hunter-gatherer hybrid technique instead of a stationary position, and finding food certainly became a more manageable task: the Alaskan forest is full of creatures, and the majority of those are edible if captured or defeated in battle. Initially, I found some of the predators to be a little too relentless in their pursuit, and more than once a wolf chased me endlessly through the woods as I screamed and begged for mercy. However, the frequent hotfixes and balance adjustments seem to have toned this down, though it is easier to handle a pack of wolves in the Multiplayer mode. 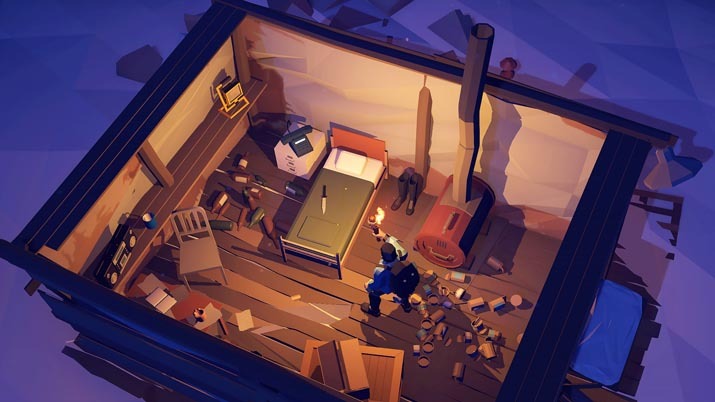 I would love to see additional trap types added to the player’s list of options, but even the preliminary rabbit snare is a crucial part of early survival attempts; features like ice fishing, or even new wildlife, could also lend more variety. One incredibly challenging aspect of The Wild Eight is the steep penalty when you die. While you do eject all of your items into an explosion of supplies that can be picked up later, the real cost is that your skills and upgrades reset. This feature is relatively minor in the early days of survival when you’ve only paid a minimal amount of costs in supplies and time, but when you’ve invested over twenty days’ worth of play into gaining new skills and features, a death is an incredibly frustrating setback. In the beginning, allowing yourself to die so that you can harvest the raw human meat from your corpse – and feed your new self for another day – can be a viable option when setting up an early base camp. However, as with most survival titles, there’s a lot to be said for being nomadic, and that is true in The Wild Eight, especially if you’re trying to progress through the storyline, which has location-based plot triggers. Without a doubt, one of the biggest draws to The Wild Eight for me, and probably many other enthusiasts of the genre, is the multiplayer. While the single player storyline is a bit more immersive, considering there’s more time to pay attention to prompts, clues, and other features within the Alaskan territory, playing with up to eight characters makes for a fantastic time. 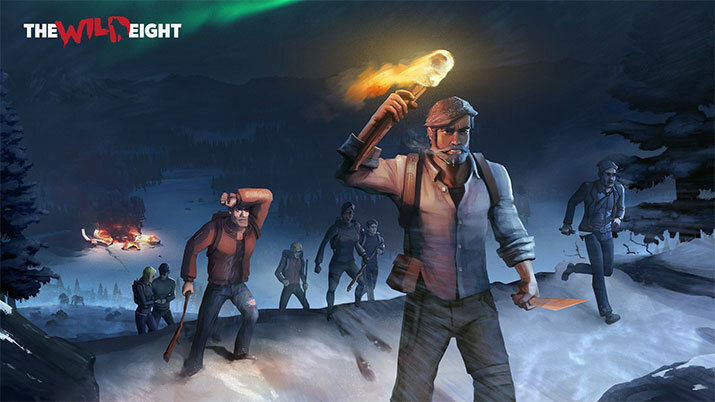 While The Wild Eight reminds me of games like The Long Dark and How to Survive in terms of mechanics and themes, it’s rare that a survival title offers a large pool of Multiplayer slots, plus a fun storyline and an engaging world. The single player can certainly stand alone, even if it is brief compared to other releases that focus on a solo experience, but The Wild Eight truly shines as a cooperative gem. While it can be chaotic, and more mouths to feed indeed means a bigger demand for hunting animals to keep everyone alive, there’s something supremely satisfying about trying to survive with your friends. Or, if you prefer, waiting until they die so that you can devour the chunk of human flesh left behind after they succumb to the elements. When your party is less than the full eight-character roster, you can pick and choose which bonuses and perks suit your party’s playstyle the best. While I prefer to play Vivian, with her huge wood and stone gathering bonus – two fundamental materials in The Wild Eight – most of the players I encountered on random servers opted for a character with damage bonuses or higher healing efficiency. As someone who considers the Survival genre one of her go-to favorites, and as a player that often prioritizes co-op and multiplayer features over solo content, The Wild Eight was a natural choice for me. Having logged many hours in titles such as Don’t Starve Together, I came into this new, rugged Alaskan adventure with a good understanding of how a group of people can both help and hinder each other’s survival odds, often in the most random ways. But given that The Wild Eight is still in Early Access, I’m impressed by how smooth the interface is, how pleasant the sounds and graphics are, and how frequently the developers are addressing bugs and known issues. The soundtrack is this jazzy, classical-style combination that is very laid-back and pleasant – a sharp contrast to the unforgiving winter wilderness on screen. The character skill trees just make sense, and although it’s horrific to die and lose all of those character upgrades, it doesn’t take a tremendous amount of time to recover the lost ground. The volume of materials players are required to gather for Crafting is also much more streamlined and reasonable than in many other Survival titles, and I hope that new recipes appear as this title progresses through Early Access. 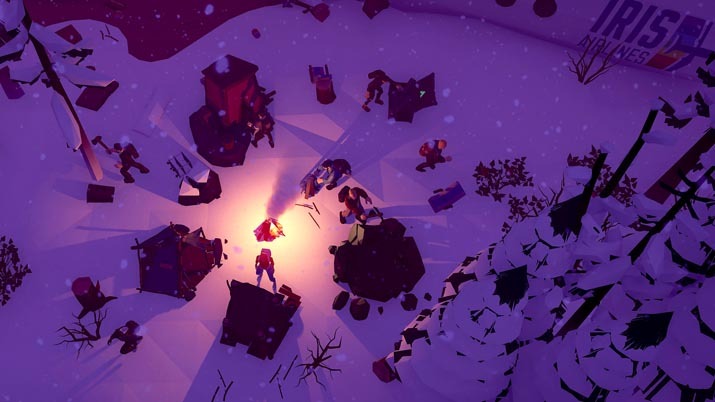 All in all, The Wild Eight is a relatively inexpensive addition to the Survival genre, and it's one that comes with a lot of potential. Even as it stands, The Wild Eight is an excellent choice for players who want to face the wilderness with a group of friends, and watching your loved ones’ avatars get gored to death by wild boars certainly breaks up the monotony of foraging. The cute, cartoonish graphics have a lot of polish, from the tracks that creatures leave when running through the snow, to a can of peanut butter rolling around on the ground after someone dies. I’m enjoying my trek through the Alaskan landscape – solo, or with a group of friends – and I think other fans of this style of gameplay will enjoy their experiences, too.